By Andrew Hore in News and Views, Uncategorized on 18th September 2017 . Good Energy (GOOD) is hoping that efficiency improvements will help it to grow its profit. So far annualised savings of £1m have been made with more to come in 2018. Customer churn meant that electricity and gas customers were 1% lower in the first half. In the six months to June 2017, revenues were 16% higher at £52m but pre-tax profit was 37% lower at £700,000 due to restructuring and investment costs. Net debt was £60.4m. Blockchain-focused investment company Kryptonite1 (KR1) has sold tokens relating to Golem, Melonport and Omisego for significant multiples of their buying prices. The gain on the disposals was nearly £400,000 with the majority coming from the Omisego disposal. The holding in Bancor has been sold for the original acquisition price. Kryptonite1 has invested £100,000 in the FOAM project seed funding round and it will receive discounted tokens in the public token offer in the fourth quarter. A further £100,000 has been invested in 208,333 tokens in the pre-sale of the Enigma Catalyst project. There has been £202,000 invested in the private sale of tokens in the RChain project and £120,000 in Rocketpool tokens. Keld Hans van Schreven has been appointed an executive director of Kryptonite1. Block Energy (BLOK) is raising $600,000 from the sale of its Ghanaian mining assets. An initial $50,000 has been received and $550,000 will be paid by the end of 2017. The cash will be reinvested in the company’s oil and gas assets in Georgia. Karoo Energy (KEP) is making progress towards an AIM quotation. Andrew Smith, who has worked in the finance functions of a number of AIM companies, has been appointed as a non-executive director. WMC Retail Partners (WELL) has asked for trading in its shares to be suspended while it clarifies its financial position. AfriAg Global (AFRI) has raised £200,000 at 0.25p a share. Via Developments (VIA1) has issued a further £300,000 of 7% debenture stock 2020. That takes the debenture stock in issue to £4.9m. EPE Special Opportunities (ESO) had a NAV of 412.26p a share at the end of July 2017. The flotation of Luceco has helped to boost NAV. Pennant International (PEN), which provides training and simulation equipment and services for aircraft and defence equipment. The interim profit was £1.1m, compared with around breakeven in the first half of 2016. An electro-mechanical trainer and courseware contract with a MoD contractor has been changed so second half revenues will be lower than expected but Pennant still has the contract and the changes mean it will probably earn more over the medium-term. This year’s profit will be flat at around £2.1m because of the lack of contribution from the contract. The order book of £42m includes £15m to be delivered in 2018, compared with forecast revenues of £18.5m. Audio visual products distributor Midwich Group (MIDW) reported a one-third increase in interim revenues to £212m. Organic growth was 15%. Margins have fallen but they remain relatively strong. The van Domburg acquisition takes the group into the Benelux countries. Midwich is on course to increase full year pre-tax profit from £17.9m to £22.1m. Midwich will join the FTSE AIM 50 index later in September. Group Eleven, which is on course for a flotation in Toronto, has acquired Teck’s 76.56% stake in the Stonepark zinc licences in Limerick, Ireland, where Connemara Mining (CON) owns the remaining 23.44%. Connemara took the decision to hang on to its stake even though it could have received C$2.8m and a 1% net smelter royalty. Stonepark is west of the Pallas Green zinc deposit. Wynnstay Group (WYN) says it is placing its pet retail business Just for Pets into administration. In the six months to April 2017, the business lost £250,000 on revenues of £7m. Wynnstay made an operating profit of £4.24m in the same period. The Just for Pets business has net assets of £2.2m and there is likely to be a significant write-off. MX Oil (MXO) is seeking to broaden its investing policy so that it is not purely focused on natural resources and also covers oil services and energy activities, where opportunities are lower risk. MX has warned that the carrying value of its investment in Nigerian oil assets may have to be revised. Central Rand Gold Ltd (CRND) is seeking additional finance and this is likely to be highly dilutive for existing shareholders. The disposal of some or all of the company’s interests is also a possibility. CSF Group (CSFG) has accepted a conditional indicative offer for one of its subsidiaries for a nominal amount. That would significantly improve the financial position of the group due to a reduction in liabilities. Net liabilities were RM27.5m at the end of September 2016. 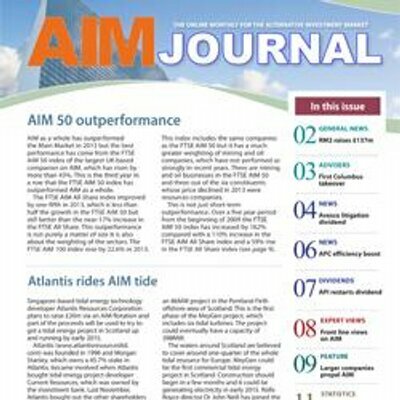 Last October, shareholders voted against cancelling the AIM quotation. Kin Group (KIN) hopes to resurface after a company voluntary arrangement and a share placing. The administrator has sold the main assets of the core business have been sold to Australia-based SMG Investment Holdings for £50,000. The shares remain suspended. Investment company Adams (ADA) has bought shares in fully listed-Petrofac (PFC), which is the subject of a Serious Fraud Office investigation. Adams has invested £941,000 at an average share price of 447.66p a share in the oil services provider. Adams has £100,000 left in the bank. Standard list shell Silver Falcon (SILF) is buying a US biotech focused on blood diseases such as bone marrow failure and leukaemia. The main product of Hemogenyx is still at preclinical stage but preparing to move into clinical trials over the next 18 months. This product redirects existing immune cells to eliminate unwanted cells in a patient waiting for a bone marrow transplant. This could replace chemotherapy. There is also a second product in preclinical development. Silver Falcon is issuing 228.6m shares at 3.5p each to acquire the company. It is also raising £2m at the same price. Readmission to standard list under the new name of Hemogenyx Pharmaceuticals (HEMO) will be on 5 October. Papillon Holdings (PPHP) has agreed heads of terms to acquire Phestor and Greenway Activated Carbon, which are involved in ultra-supercapacitor development for energy storage and supply of active carbon produced from biomass. Greenway plans to set up bio-refineries to extract cellulose and other materials from sugar beet pulp, straw and brewery biomass. The active carbon produced can be used in the ultra-supercapacitors. Phestor was set up in October 2016, while Greenway was set up in March 2016, although its name was changed last month. James Etherington Thorpe, who is resident in Denmark, is the sole director of each of the companies. Papillon had previously ended talks with MyClubbetting.com (see below). Ocelot Partners Ltd (OLOT) still had $413.9m in the bank at the end of June 2017 and it is still on the look out for companies involved with the European technology, media or telecoms sectors. Shares in Ocelot commenced trading on the standard list on 13 March, when the cash shell raised $418m at $10 a share (currently trading at $9.91 each). A further $7.35m was raised from founder preferred shares with one warrant attached to each share. There was a $34.1m non-cash charge relating to founder preferred share dividend rights in the figures to June 2017. Standard list shell Rockpool Acquisitions (ROC) says that it has been approached by additional reverse takeover targets in a range of sectors. Rockpool wants to buy a Northern Ireland-based business.